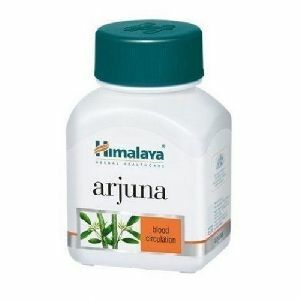 Contains : Pure and Concentrated Arjuna. 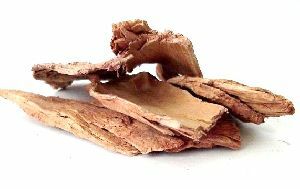 Used to : Reat Acne, Blemishes, Wounds, Dysentery, and Diarrhea. 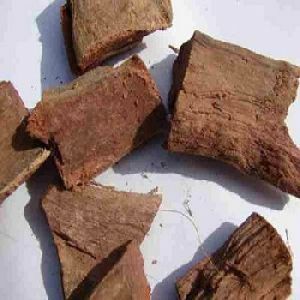 Feature : It is Very Good Source of Calcium. 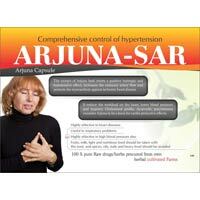 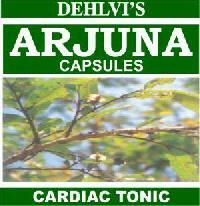 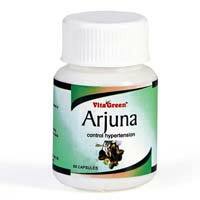 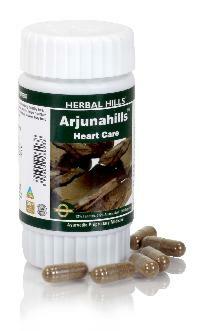 Arjuna is useful in all type of cardiac & pulmonary disorders. 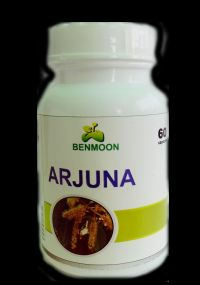 Used as heart tonic, It is also used in gynecological disorders like menstrual problems, leucorrhoea, bleeding piles, urinary complaints, ulcers and in obesity etc. 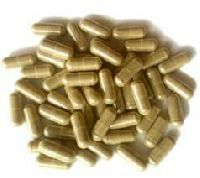 Presentation : 60 Capsules in a Single Herbs Pack. 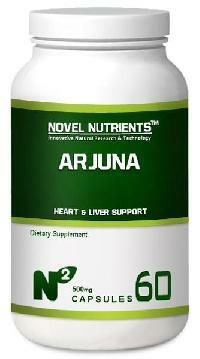 Dosage / Serving Size : 1 Capsule twice daily with water 15-20 minutes before meals. 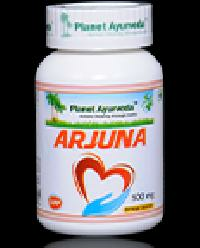 Arjuna capsules The tree has a height of almost 25-30 meters. 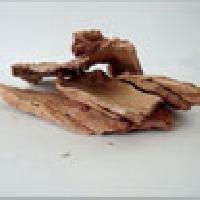 Bark is available in pieces, at, curved, channeled. 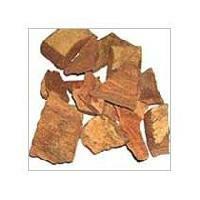 Outer surface is smooth and gray, inner surface is fibrous and pinkish. 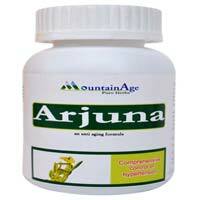 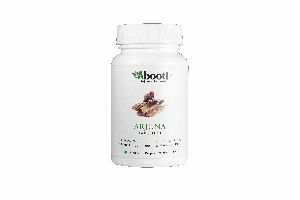 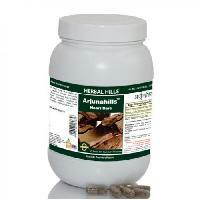 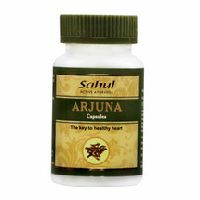 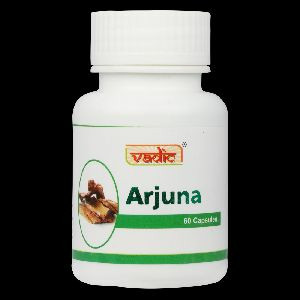 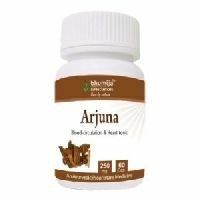 Arjuna is used widely in maintaining healthy blood pressure, normal cardiac functioning and promoting cardiorespiratory endurance. 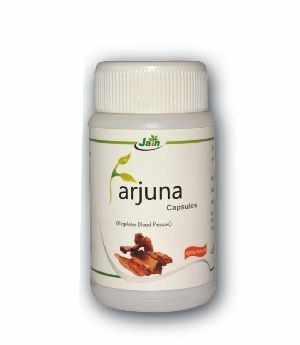 It helps to improve coronary artery blood flow, reduce chances of clot formation and protect the heart muscles. 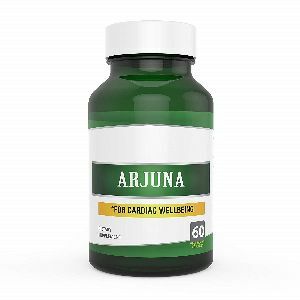 The herb helps to lower blood lipid levels, and prevents the hardening of blood vessels by reducing lipid accumulation in the arteries. 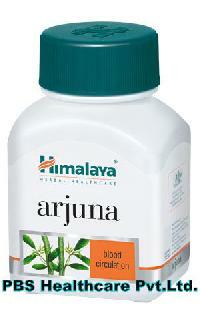 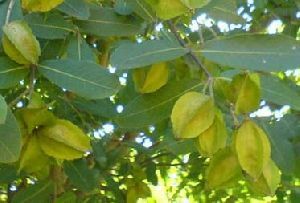 Arjuna is a dense and tall tree and has long, cone shaped round leaves and white bark used in medicines. 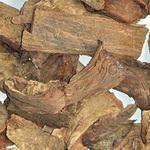 This tree is called nadisarjja in Sanskrit and its bark is described as a cardiac tonic. 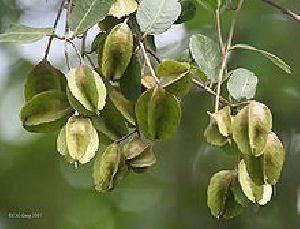 The tree is indigenous to India though it is found also in Myanmar and Sri Lanka. 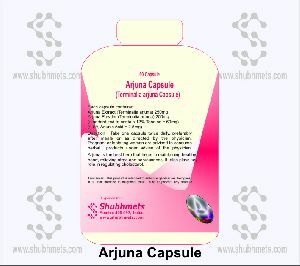 Arjuna Capsules- Terminalia Arjuna Available: Worldwide[Major Markets: USA, UK] Type: Capsules Production Capacity: 500, 000 caps per weekIts available in many countries with our and other's brand name. 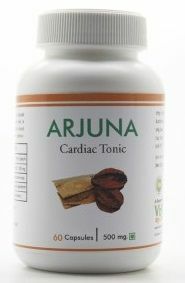 In case you need it on private labeling, please let us know. 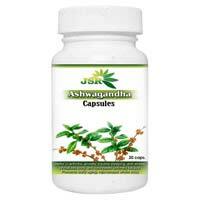 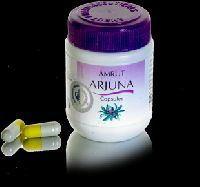 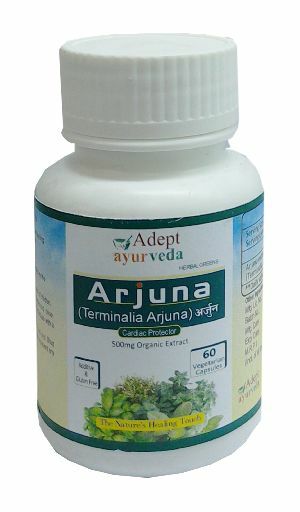 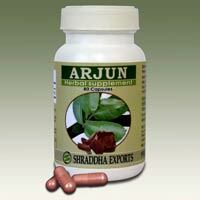 M/s Jammu Institute Of Ayurveda &..
We are offering Arjuna Capsules. 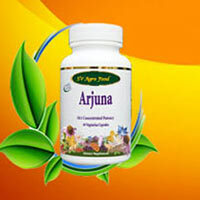 we are the manufacturers of Arjuna.